This is a real top-notch online casino, 32 Red hasn’t won awards for nothing, they care about their customers’ playing experience and make every provision for a pleasurable stay, whether you have downloaded, flash played or mobile played. This is up there as one of my favourite all round casinos. If you are looking to feel supported and like you matter as a player, I cannot recommend 32 Red online casino enough. 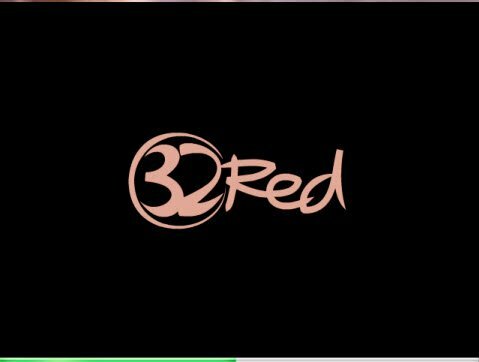 32 Red Casino is a British staple, having been a major sponsor in the Premier League. They also sponsored Aston Villa football club between 2006 until 2008 and, more recently, Swansea City Football Club. 32 Red Casino was founded in 2002 and is registered in Gibraltar. They are notorious for having taken William Hill to court and winning over a trademark dispute. One of Britain's national treasures, Patsy Kensit, voices the 32 Red Online Casino. In the Casinomeister 2012 awards, 32 Red Online Casino won Best Global Casino, Best Casino Group and Best Casino Manager. They certainly have set themselves high standards which they have consistently met and, assured their customers they will continue to meet. The 32 Red Online Casino lobby is a thing of simplistic beauty and lists new games, updated regularly, and will automatically put your most played games in your favourites tab. 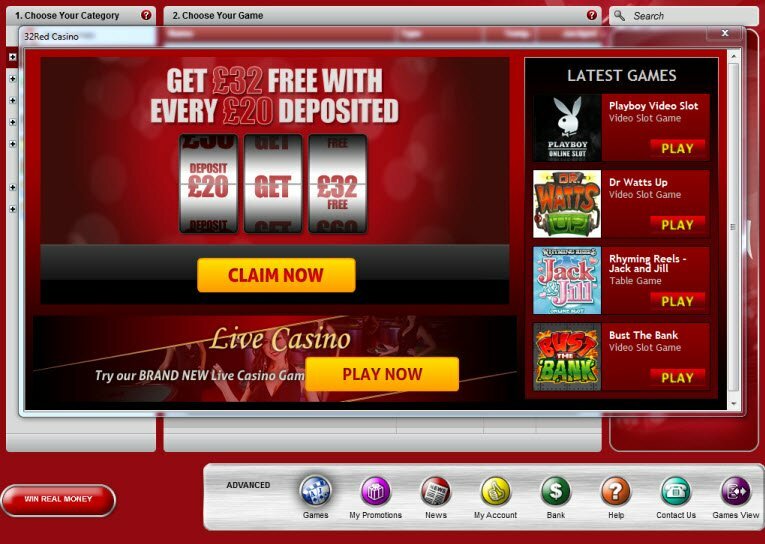 There will always be those of us who prefer to take a minute or two to download our casino software, and equally those of us who like to play it straight in a flash browser with no fuss. Both options are provided by 32 Red Casino and, equally, both are simple, quick and effective. Job done. Allow an extra 20 seconds for the additional download required of the games before you play them. If you are downloading them to your downloaded casino, once downloaded they will be forever yours to play. There is also 32 Red mobile casino available to you which you can send to your mobile device from the website itself, choosing which game you want to play. There are 10 slot machines, all your usual table games and 5 "other" 32 Red games, such as Keno and Scratch and Score. With the downloaded 32 red casino, it is possible to change the language to one of 9, including Russian, Japanese or Chinese. Software and Graphics to Give 32 Red Valentines To? The Microgaming casino software platform 32 Red Online Casino uses is an industry leader and, we would expect nothing short of perfection from an online casino held in such high acclaim. I was not disappointed. I never am with Microgaming slot machine games or graphics. All the usual exciting slots are available and, the table games are graphically great and most certainly get more than the job done. The 32 Red Online Casino lobby is a thing of simplistic beauty and lists new games, updated regularly, and will automatically put your most played games in your favourites tab. Games are divided into BlackJack, More Tables, Multi-player & Tournaments, Jackpots, Classic Slots, Video Slots, Video Pokers and Variety Games. Within each of these categories, everything is nicely and easily listed for supreme easy access. 32 Red Online Casino is one of the safest places to put your wagering money. They use the usual 128-bit-SSL (Secure Socket Layer) Digital Encryption and, all debit/credit card transactions are processed by AIB (Allied Irish Bank) Merchant Services. All the usual main deposit methods are available and, you should be able to find one of the 12 offerings that suits you. Withdrawal is as simple as can be and you have some top notch customer service to aid you should there be any issues. I have never encountered an online casino this easy to get hold of with so many different contact options. 32 Red Online Casino have confessed they are on a Mission to Thrill and that customer satisfaction is their number one priority. There are dedicated email address for different issues, good old snail mail, 24/7 live chat, Freephone numbers around the world, good old fax and, even Skype. For every £10 deposited, you will get an additional £32 so, you can raise your stakes. A tasty "Dish of the Day" bonus will provide you with a tasty daily treat. You've got £250 freerolls daily too, available on 32 Red Avalon Slots tournaments in the downloaded casino. 32 Red online casino seems to be big on rubies too - there's Red Ruby Rewards, 32 Red online casino's loyalty scheme and Ruby Tuesday, a doubling or tripling of said points every Tuesday. If your luck is in, you may even be picked for a red Letter Day - a minimum of 1000 free chips awarded to depositing players every day. Does 32 Red offer Progressive Slot Games? If so, which ones do they offer, and more importantly which ones are the best to play? 32 Red Casino most certainly does offer Progressive Slot Games, in fact they offer 9 different ones for you to choose from! You can choose between 5 reel and 3 reel progressive slots, each with varying paylines. They are all great, and offer amazing jackpot prizes. The Mega Moolah slot for example is an extremely popular one – just last week someone won a massive jackpot on this progressive slot. After each and every win, the amount on this slot resets to £1 000 000.